You'll find this office building at the corner of Bathurst Street and Frontenac Avenue in Caribou Park. This diverse neighbourhood of Toronto is a great location for new or established businesses due to its accessibility, access to parking and varied neighbourhood amenities. Located between Lawrence Avenue and Glencairn Avenue, this property is easily accessible via public transit. TTC bus stops are located within a minutes' walk and there is quick access to both the Lawrence West and Glencairn Subway Stations, as well as Allen Road. 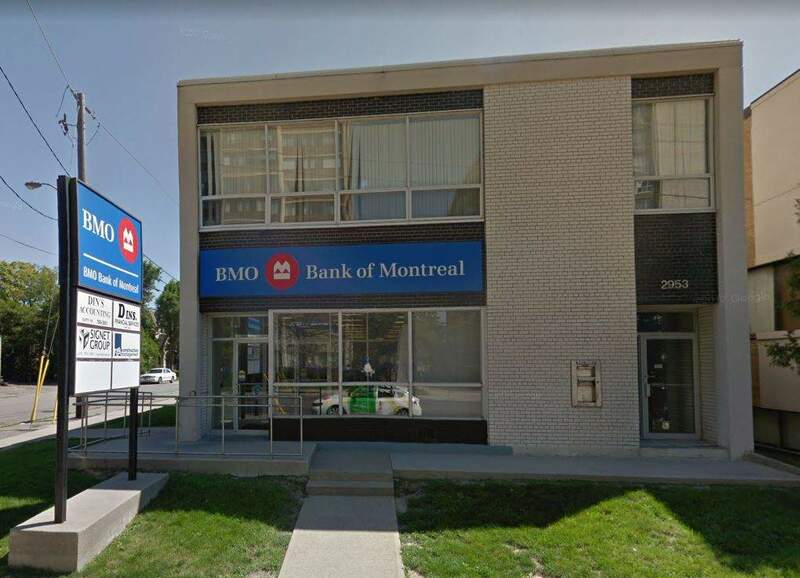 Anchored by the Bank of Montreal, this two-storey building contains four units. The main floor offers wheelchair access and a separate entrance with a stairwell leading to the upper offices.